On July 16th, the ground of Kourou, French Guyana shook — but not for a launch this time. 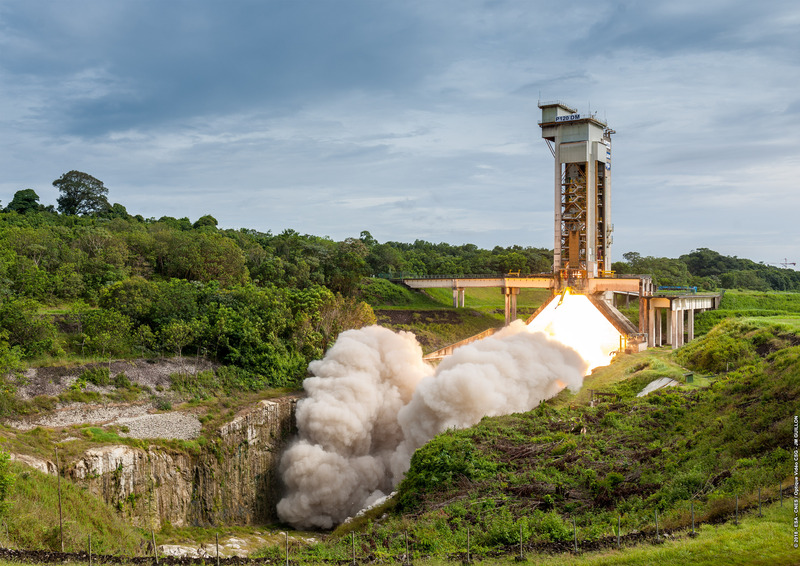 The P120C, the future rocket solid motor for Ariane 6 and Vega-C, was tested by teams of engineers in the European launch complex. This step was an important milestone in the development of the future Ariane 6 and Vega-C launchers. The aim of this test was to verify that this first ever built P120C was functioning as planned. Even if the test was nominal, the final results will take some time to be known. The test fire lasted for 135 seconds, burning the 141 tons of solid fuel in that time, allowing the motor to produce a thrust at take-off of 4200 kN – that’s about the same thrust as five Boeing 747s taking off together! This new rocket solid motor will be the biggest monolithic carbon fibre motor in the world, being 13.5m tall and 3.4m in diameter, allowing for a robust yet light-weight frame. The C in the name ‘P120C’ stands for Common, as this motor will be used as the first stage of the Vega-C launcher, but also as a booster for Ariane 6. The latter having two configurations — Ariane 62 and Ariane 64 — with either 2 or 4 boosters mounted on its sides. The P120C motor is co-developed by ArianeGroup and Avio through their half-half joint venture Europropulsion, which will produce up to 35 of these motors per year in order to meet the demand for both Ariane 6 and Vega-C. 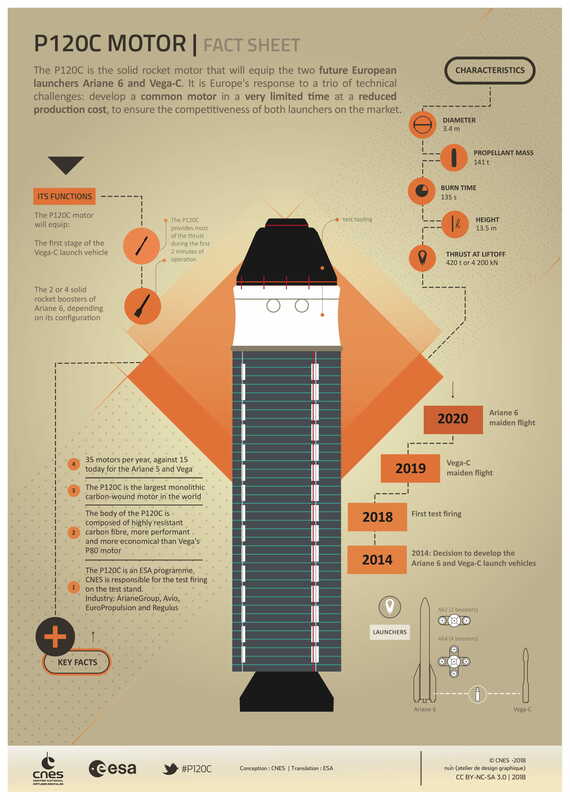 The first flight of Vega-C is planned for next year, while Ariane 6 will lift off for the first time in mid-2020.